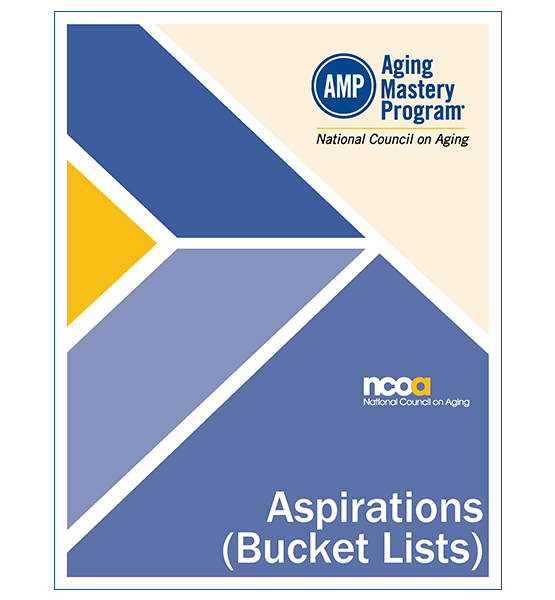 Aspirations/Bucket Lists is a motivational class to help individuals discover strategies to align personal goals with societal benefits--linking what they would like to do with why they would like to do it. You must have a valid Aging Mastery Program® license Number. You can find your AMP license number in the AMP Community Site. For questions about your AMP license number, please contact AMP@ncoa.org.